Well here we are back in Bideford, our mission to continue with the show home arena. As you can see from the picture,there has been rather a lot of rain (to put it mildly) and we find ourselves with a lot of mud to contend with. 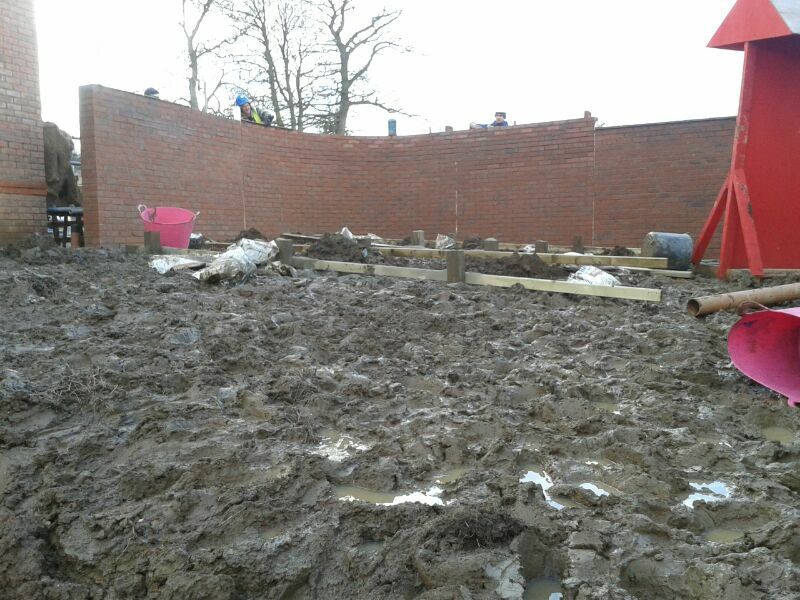 We are ready to start on the 'Letchworth and Stratford' rear gardens along with the garage area between the properties. We are also going to be starting the front garden of the 'Stratford' but at the moment it is a total mud bath. Oh well we have dealt with worse and look forward to the challenge!